ON A weekend where England Seniors notched up eight tries, England U20 went three better, scoring 11 on the way to beating their Italian counterparts 74-3.Chris Ashton may have stolen the headlines for Martin Johnson’s men with his try-scoring exploits, but Worcester Warriors wing Andy Short matched the Northampton man, also scoring four times in the U20s emphatic win. Short was joined by London Wasps centre Elliot Daly in heading over the white wash on four occasions in a blistering display of ruthlessness and precision by Rob Hunter’s men at Bath Rugby’s Recreation Ground. 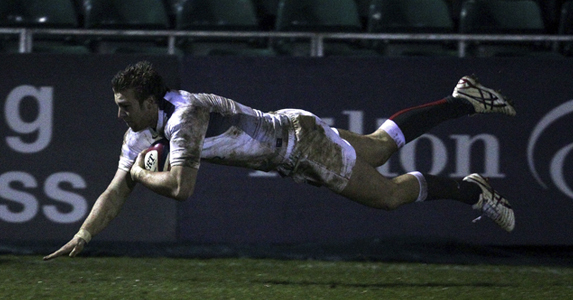 England U20 take on France in their next match at Short’s home ground Sixways Stadium in Worcester.